AudioLearn’s Medical School Crash Courses presents Oncology. Written by experienced professors and professionally narrated for easy listening, this crash course is a valuable tool both during school and when preparing for the USMLE, or if you’re simply interested in the subject of oncology. The audio is focused and high-yield, covering the most important topics you might expect to learn in a typical medical school oncology course. Included are both capsule and detailed explanations of critical issues and topics you must know to master oncology. Award-winning author William Rosen tells the story of the men responsible for the Industrial Revolution and the machine that drove it: the steam engine. The emergence of strange new diseases is a frightening problem that seems to be getting worse. In this age of speedy travel, it threatens a worldwide pandemic. We hear news reports of Ebola, SARS, AIDS, and something called Hendra killing horses and people in Australia - but those reports miss the big truth that such phenomena are part of a single pattern. The bugs that transmit these diseases share one thing: they originate in wild animals and pass to humans by a process called spillover. David Quammen tracks this subject around the world. A magnificent, beautifully written "biography" of cancer - from its first documented appearances thousands of years ago through the epic battles to cure, control, and conquer it to a radical new understanding of its essence. The Emperor of All Maladies reveals the many faces of an iconic, shape-shifting disease that is the defining plague of our generation. 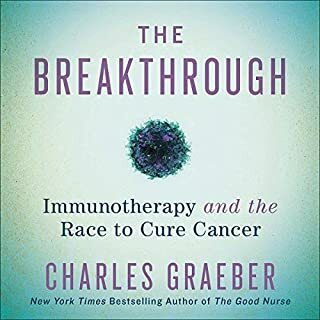 The story of cancer is a story of human ingenuity, resilience, and perseverance but also of hubris, arrogance, paternalism, and misperception, all leveraged against a disease that, just three decades ago, was thought to be easily vanquished in an all-out "war against cancer". Mukherjee recounts centuries of discoveries, setbacks, victories, and deaths, told through the eyes of his predecessors and peers, training their wits against an infinitely resourceful adversary. 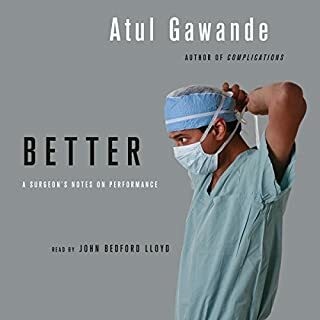 The audiobook is like a literary thriller with cancer as the central character. From the Persian Queen Atossa, whose Greek slave may have cut off her diseased breast, to the 19th-century recipients of primitive radiation and chemotherapy to Mukherjee's own leukemia patient, Carla, The Emperor of All Maladies is about the people who have soldiered through toxic, bruising, and draining regimens in order to survive - and to increase the store of human knowledge. I'm not usually hot on reading nonfiction for pleasure. However, I enjoy reading medical articles and frequently find myself hopping between Wikipedia articles reading about different illnesses. This book is a more legitimate version of my Wikipedia hobby. I bought this book because my father had recently been diagnosed with terminal cancer. Cancer was on my mind, but I was far too frightened of the emotional response I knew I would have to a biography or memoir. I honestly expected this book to be cold and clinical. I was completely wrong. The author seamlessly blends history, medical fact, and patient anecdotes. The chapters open with some very beautiful and thought-provoking quotes. The patient stories are beautiful and tragic without being saccharine. I also learned a lot about cancer, the functions of which were a mysterious blur in the back of my mind even after my father's diagnosis. Perhaps the best surprise was how readable and absorbing this book was. I never thought I'd describe a nonfiction book written by a scientist as a "page turner", but here we are. It's a unique and wonderful book. I would absolutely recommend this book to anyone who is curious about cancer. Dr. Mukherjee not only explains the disease, the research for cures, the person and poignant struggle of patients and this disease's future on the human race in such a way that even a layperson can make grasp it. I couldn't put it down! It compelled me forward like a great mystery novel. I can't single a character out. The litany of men and women who devoted their lives to the study and cure of cancer is incredible and hundreds of them are heroes. Sander's performance was perfect; easy to listen to. 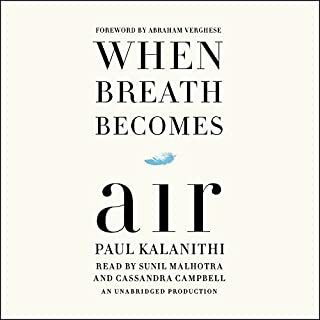 This book spoke to my soul...since, being human, of course I fear this dreaded disease and wonder with all my fellow travelers on planet earth, "Will it eventually get me too, and if so, what can I do?" 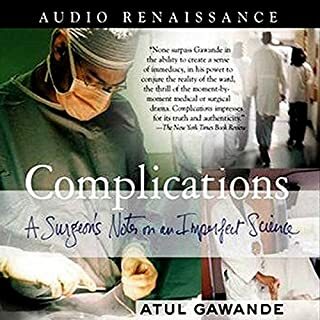 I think this book should be recommended reading for anyone who is quick to criticize medicine and science for their lack of "cure" at this time. Unless you're in the battle, don't criticize the soldiers on the front line. I got this book because I read his other book The Gene: An Intimate History. That book is an unqualified masterpiece. This book is also great, but having read the other, it covers some familiar territory and so maybe was overshadowed. If you're only going to read one Siddhartha Mukergee book, read The Gene. That's my recommendation. oncology's quest to find treatment and halt this disease. I first became interested in The Emperor of All Maladies after watching the author, Siddhartha Mukherjee discussing this book on C-SPAN 2. He started writing with the idea of chronicling his 2 years as an Oncology Fellow. He soon realized that there was a much bigger story to tell. As we now know Cancer is a generic term for countless diseases where the the cells in a part of one's body don't stop multiplying ( normally cells are designed to regenerate to a healthy point & stop). In the many types of Cancer, the cells seem to run amok, causing problems in the initial organ & then spreading to other areas of the body. 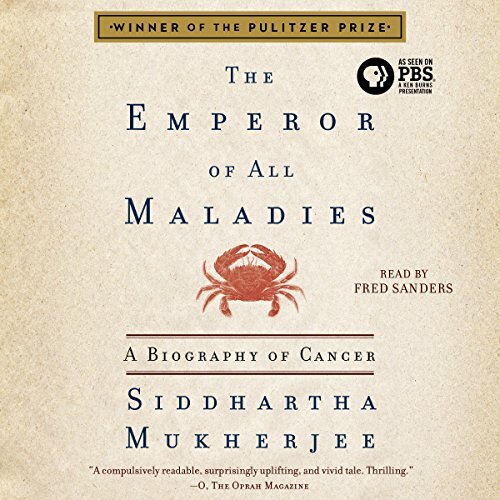 Dr. Mukherjee steps back and helps us to envision Cancer as a character, perhaps an underworld deity of some sort, who has bedevilled humanity for millennia. Then, because to cover all types & subtypes of Cancer would probably rival the complete Encyclopedia Britannica, he covers some of the more common types and the various treatment models. What makes this so readable for the average person w/o an MD or PhD following his name, is the book reads like a biography with the "back story" of each type of Cancer including potential causes is: lung cancer's ties to tobacco usage,the treatment modalities, from barbaric surgeries, radiation, chemotherapy to immunotherapies. The listener learns of disputes between & among proponents of the different modalities are detailed. Interspersed, are the main people who in the 20th century led to President Nixon declaring war on Cancer in 1971. As an aside, the narration by Fred Sanders, is very smooth but not monotone. That being said, after listening to several chapters during the day, this insomniac will often go back, set the timer to 30 minutes and fall asleep. 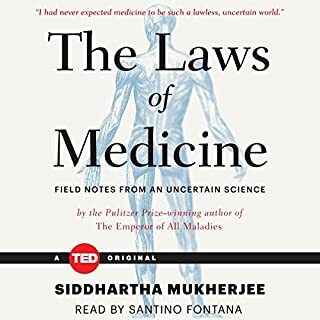 Where does The Emperor of All Maladies rank among all the audiobooks you’ve listened to so far? I was assigned this book and when when it arrived from amazon I about had a heart attack. I dont think I had read anything that long or that heavy for years. BUT, it is phenomenal! It reads like a murder mystery/crime novel where you cant wait to turn the pages and find out what happens. I got the audio as well so I could bounce back and forth between morning reading and morning commute listening. The narrator is great and despite the heavy content both the author and narrator deliver it in a easy to follow, interesting, understanding way. Hands down the best book I have read & listened to in years despite having no interest when I initially started! Get it! This is a comprehensive, scientifically historical account of the history of cancer presented in such a way that it's as captivating as a fiction novel. I'm in hour 18 and am dreading the fact that it is almost over but cannot wait to see how it unfolds. If you like this kind of book, you'll love this one. Amazing and very well researched biography of cancer! Siddhartha Mukherjee apart from being great researcher and Doctor is also great story teller and writer. This is by far one of the best book I read on medical science. He has explained history as well as underlying biological reason, available cure, challenges for comprehensive therapy and future of Cancer in very colloquial language that any layman can understand.. Take a bow Doctor. Mukherjee. 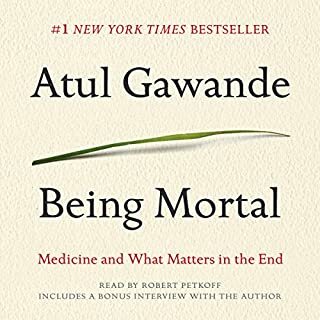 Would highly recommend this book to all as 25% of deaths in America every year is due to Cancer and this book will surely change your paradigm the way you look at it. This book was well written with great detail. I wished that were more hopeful about the fight with cancer but the facts are the facts. Siddhartha Mukherjee examines the history of cancer. The Centers for Disease Control and Prevention report heart disease and cancer are the two leading causes of death. At first glance, one thinks--so what? We are living longer, and everyone dies of something. However, Mukherjee notes a recent study shows cancer deaths are rising, even when age is removed from the equation. In the process, he exposes the arrogance of medical specialization. Mukherjee shows early attempts to cure cancer were led by surgeons who removed cancerous growth. “The Emperor of All Maladies” reminds one of the saying—"To a hammer, everything is a nail”. Cancer is a slippery killer. The hammer, in the early days of treatment, is a scalpel wielded by surgeons who cut deeper and deeper into the body until the patient is either permanently disabled or dead. The surgeon believes he has removed the cancer only to find it returns in weeks or months later. Mukherjee addresses the need for funding to expand cancer research. He is not Pollyannaish about the need. He acknowledges cancer research is not going to be like America’s race to the moon in the 1960s. There is no definitive goal. The goal is not fixed like a mission to Mars. Cancer’s etiology evolves. It is unlikely for there to be a single-bullet solution that will cure cancer. The cure begins with physician attention and empathy for the patient; not for physician self-congratulation. Cancer is an eternal war. It changes with the environment and life’s evolutionary laws. Very comprehensive history and told in an enthralling way. I was hooked after the first chapter. I did find that the latter half was quite technical, a difficult thing to get right in an. Audibook, but the narrator held my interest most of the time. Worth 22 hours. Truly fascinating, well written and resarched. Loved this book. It is written in such a way that one learns not only about the history of the disease and the struggles to understand its cause and its treatment but about many other things as well: about doctors and patients, about researchers,la and campaigners, about how science progresses (or doesn't), about how we get new drugs (and don't), about biology and genetics, and about life and death. And about how to tell a great story. A wonderful read.